Participants will get to run and bike through some incredible terrain and caves. 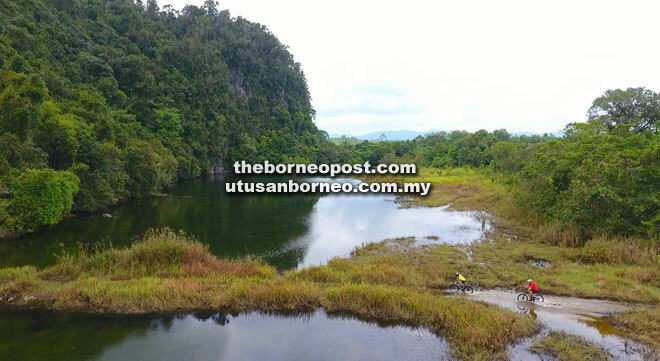 KUCHING: Sarawak Adventure Challenge: The Lost Mines aims to deliver on Sarawak Tourism’s tagline ‘Where Adventure Lives’, and introduces the incredible terrain of Bau, Sarawak to adventurous souls around the region. 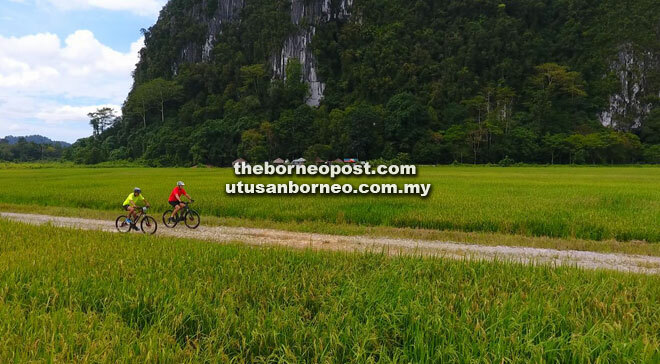 “We have these amazing trails and landscape close to Kuching that we want the people to come and appreciate,” said race organiser Robert Basiuk, adding that they are keen to get more Sabahans onboard. 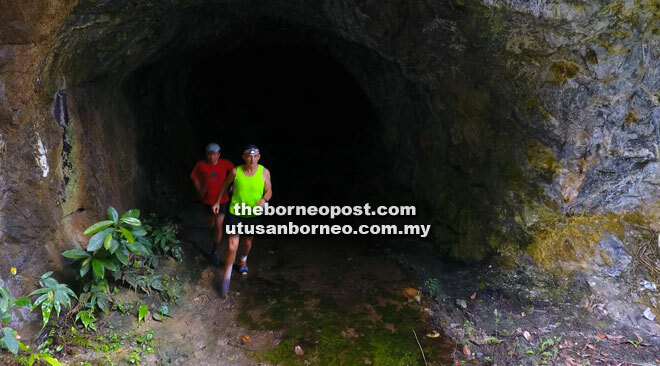 The inaugural edition of the Sarawak Adventure Challenge – The Lost Mines will be staged on Oct 14 in the Bau region near Kuching. It is held under the umbrella of What About Kuching (WAK) 2017 the month-long festival that celebrates the arts, culture and lifestyles of the people of Kuching. This international multi-sport adventure event includes a combination of mountain biking, trail running as well as a cave run. Evoking images of Indiana Jones, the Lost Mines theme is a reference to the area’s colourful mining history and the fact that the race will incorporate some of these features. Sarawak is renowned for its rainforest, rivers and scenery and the route for the race will take competitors through some spectacular landscapes. Over the course of the event, competitors will cover 40+ km mountain biking, 12+ km trail running as well as a caving section. Set as a one-day team event, teams of two will be required to complete all stages and finish together. The reward for navigating single track trails, old mining trails through jungle, streams, local roads, villages and plantations: an exhilarating rainforest experience and a total prize purse of over RM 33,000. There will be two entry categories; men’s open team and a mixed team with RM6,000 as first prize in each category. Cash prizes will also be awarded for the top 14 placings in each category. The event has attracted a number of top ranked regional and international teams with approximately 150 participants expected for the inaugural event. The goal is to increase this number to at least 200 by year two and reach 300 participants by the third year. To date, the majority of participants are from West Malaysia and Sarawak with a number of teams coming from Singapore and Sabah, as well as expatriates living in the region. Registration is open until Sept 5 and the organisers are inviting more participation from Sabah as well as Brunei, Thailand, Indonesia and the Philippines. “Hopefully, this annual event will become one of the top international multi day adventure races in South East Asia in the coming years,” said co-organiser JC Chua. The event is supported by the Sarawak State Government through the Ministry of Tourism, Arts, Culture, Youth and Sports; the Sarawak Tourism Board; the state constituencies of Tasik Biru and Serembu; Bau District Council and endorsed by Tourism Malaysia. Other sponsors include MCC Overseas Malaysia, Compressport Malaysia, The Marian Boutique Lodging House, The Granary Kitchen + Bar and Giant Bicycles. The event organiser is Draco Action Sports, a joint venture between Borneo Adventure and Paradesa, two travel industry and outdoor sports veterans. Registration is open at www.sarawakchallenge.com. What About Kuching (WAK) 2017 celebrates the arts, culture and lifestyles of the people of Kuching by creating a platform to share the abundant talent here and throughout Sarawak. The month-long event, from Sept 30 to Oct 29, will encompass every genre from visual to performing arts, traditional to contemporary arts, and from static exhibitions to active outdoor pursuits. To date, over 20 components have been committed by various groups, with more to come. WAK 2017 is open to more parties joining them. Send in your proposals to info@aboutkuching.com. If you know of someone who fits into what WAK 2017 is trying to achieve, the festival organisers want to hear from you. You can reach them at info@aboutkuching.com. If possible, include contact information for the person or group you are suggesting. For updates, like WAK 2017 on Facebook at http://www.fb.com/aboutkuching or follow them on Instagram at @aboutkuching. Check out the hashtags #WAK2017 and #aboutkuching. Their website is aboutkuching.com.